Made in Abruzzo Italy with alternative flours such as rice and teff flour along with lactose free butter. These hearth shaped cookies there are not just a tasty treat but an interesting products for the free from consumer. The lovely crumbly texture given by the rice flour will not fail your most demanding clients. This product would ideally suits high end deli in areas where customers demand gluten and lactose free products. The producer is currently looking for distributors in UK and USA. 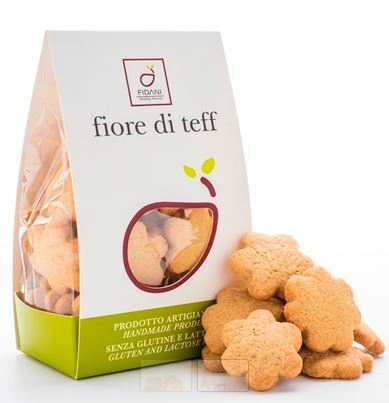 Be the first to review “Fiore di Teff – Italian Gluten and Lactose Free biscuits” Click here to cancel reply.